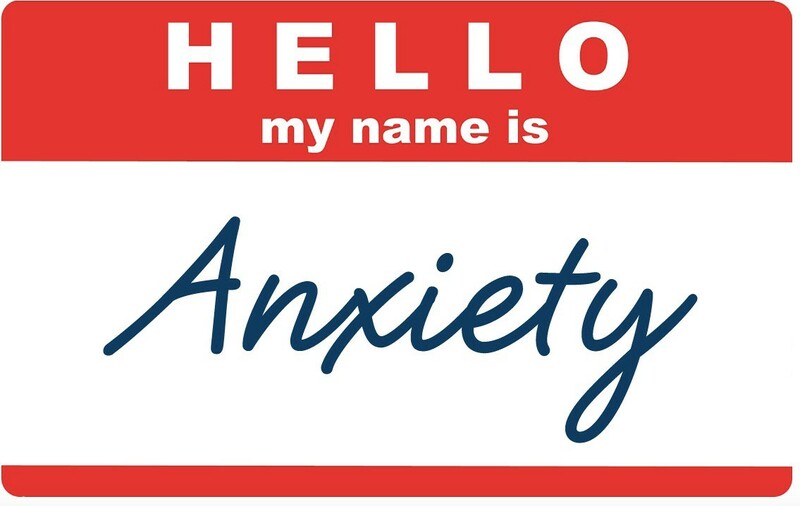 Today the natural state of anxiety is high, very high, for good reason. Once the natural flow of anxiety and what interrupts it are understood, Five Tips can alleviate it, including a Rose+Candle must have, used effectively by many. Of course, certain anxieties are to be expected: For example, waiting for news about college acceptance, job selection, medical test results, as well as entering a room of strangers. Also, there is the wait and hope for contact with one you had a great time with. In addition, some anxieties motivate positively: When anxious about competing for a part in theatrical production, many actors become motivated to prepare even more intensely. The same is often true in any competitive situation. Moreover, with practice in trying new adventures, such as entering a room with strangers, doing so gets easier. The problem becomes when one’s anxieties grow in intensity, and begin to feel crippling. With this in mind, here is what is important to understand: In healthy families, work settings, communities, and society in general, anxieties flow up and are addressed. To illustrate: In a loving home, a young person who feels anxious about an upcoming test, is offered necessary help by a parent and is assured that all will be well. One you report to in your work setting offers guide lines and support as you prepare for an important presentation. Colleagues trust the direction of the CEO or president of an organization, as well as the competence, involvement, and awareness of their board. No matter how mature we are, make no doubt about this: The leader of a country is experienced as the Father or Mother of the country. When leadership feels safe and trusted, anxieties are calmed. When citizens are confused about what a world leader stands for and how he or she will act and react in precarious national and international challenges, anxieties are intensified. Sadly, the latter is the case with our 45th president. Americans have no idea where Donald Trump will lead our country, and what the cost of his inexperience in governance and “way of doing business” will be. In addition to the calming impact of understanding positive, normal anxieties, and why they become intensified, following are five helpful tools that have worked for many of my clients. They work for me also. I am married to a doctor and know that again and again doctors and nurses advise patients of all ages who are anxious before surgery: take slow deep breaths and long exhalations. Through the ages, moms have told their anxious children to calm down and take a deep breath. We also know the importance of controlled breathing in meditation. Although this approach to calming stress has been effective, no one knew precisely why until recently. Carry a candle and an artificial rose (or any flower that pleases you) with you in a small bag at all times. Check the ingredients of your chosen flower to make sure there is nothing you are allergic to in its makeup. Make sure the rose is without scent or has a pleasant one. (Some choose a virtual, imaginary flower, rather than an artificial one.) When anxious find a private place. (If you have low blood sugar or low blood pressure, make sure you are seated.) Do the following exercise 4 to 7 times, whatever works for you: Smell the rose (or other flower, or your virtual one) by breathing deeply as you picture yourself in a lovely garden. Then imagine that the candle is lit, and blow it out. 2. Develop a personalized Self-Care strategy: There are many to select from ranging from journaling to working out to message and reflexology. Think out of the box — for instance, did you always long to take an acting class? Give yourself the time to learn new things, have fun, relax and restore. Remember that the strategy that may work for your closest friend may not be the one that will be best for you. 3. Above all, eat well and responsibly, rest when necessary, and remember all Arianna has taught us about the importance of sleep. 4. Become involved in organizations that can address our political challenges in the way that is right for you. There are so many choices. When we feel involved in problem solving of any sort, anxieties lessen. 5. At the end of each day, before sleep, smell your rose, and blow at your candle four to seven times. At home, you may want to treat yourself to a real rose or your favorite flower. However, remember to pack your artificial or virtual flower along with your candle for tomorrow.